An EF1 tornado touched down in Lake Harmony at 6:37 PM today. 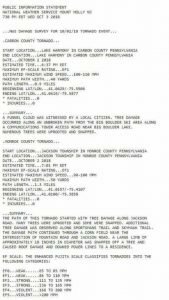 The tornado touched down at the Big Boulder Ski Area, and traveled south towards Route 903 for approx. 1 mile. 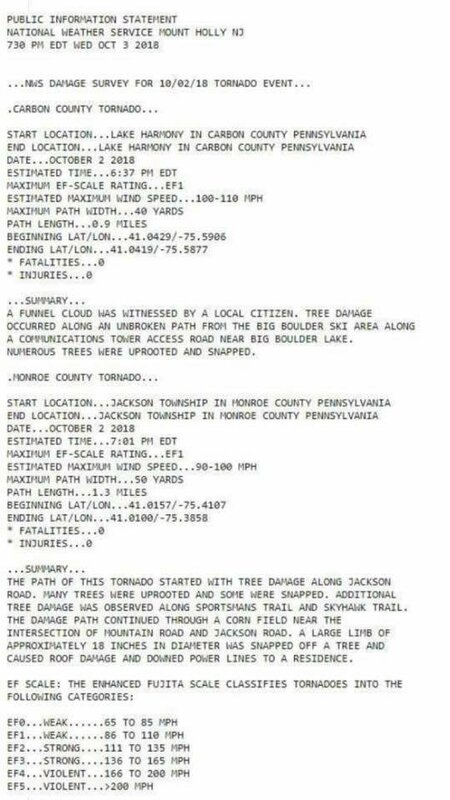 The path of the tornado was 40 yards. The ski slope reported over 1000 trees were toppled, causing over 1 million dollars in damage. No injuries were reported. Rescue 17 was dispatched to assist in opening the roadway. Units were on scene for around an hour.